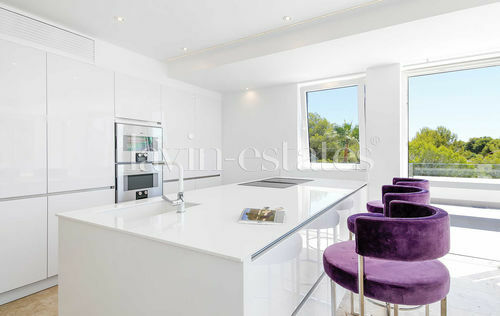 This south facing family villa in Nova Santa Ponsa was totally transformed in 2016 into a top modern villa and offers fantastic views over the sea. The property has a plot of approx. 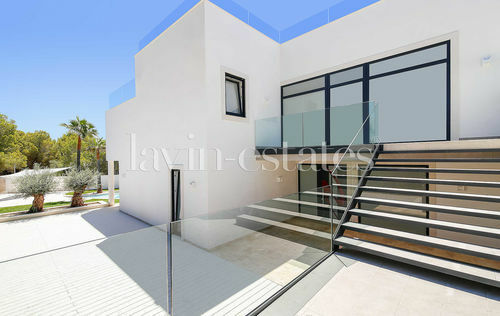 1029m2, a living area of about 324m2, several wonderful open and covered terraces with a total area of approx. 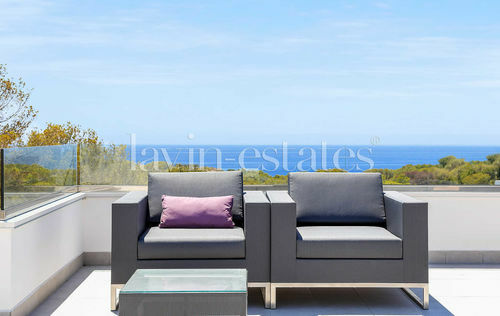 400m2 and a magnificent saltwater pool. The light-filled living area extends over two floors. 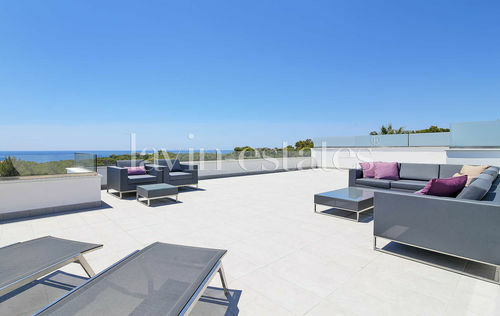 The lower level is completely designed in an open concept and features a fully equipped luxury kitchen, a dining area, a living room with fireplace and access to the spacious terrace overlooking the sea. Upstairs the family villa has another entrance and is equipped with a large master suite including bath and walk-in closet and three additional bedrooms with bathrooms en suite and a guest toilet. 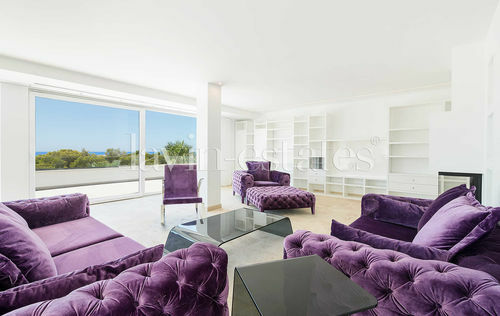 As a special highlight, the house has a breathtaking sea view terrace with a cozy chill-out corner. 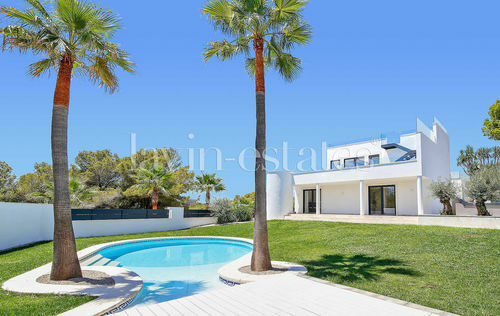 This minimalist villa offers these further extras: high-quality materials, natural travertine tiles, double glazed windows, underfloor heating, air condition, alarm system, automatic garden irrigation system and a garage with electric garage door. 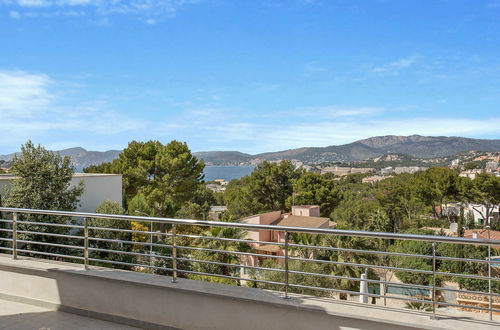 The property is close to the three golf courses in Santa Ponsa and only minutes away from the beautiful sandy beach and the exclusive marina of Port Adriano.